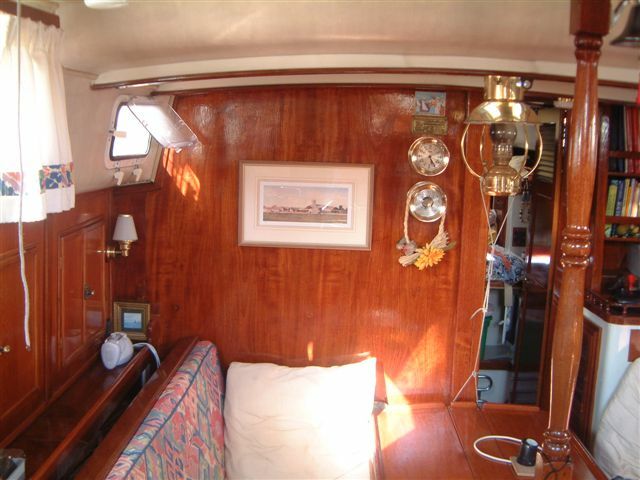 Here are some shots of Dulcinea’s modified interior. 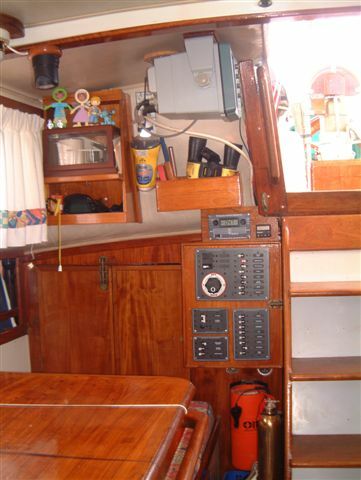 I have removed the original pilot berth on the starboard side and the lockers on the port side and replaced them with new lockers to give more storage space. 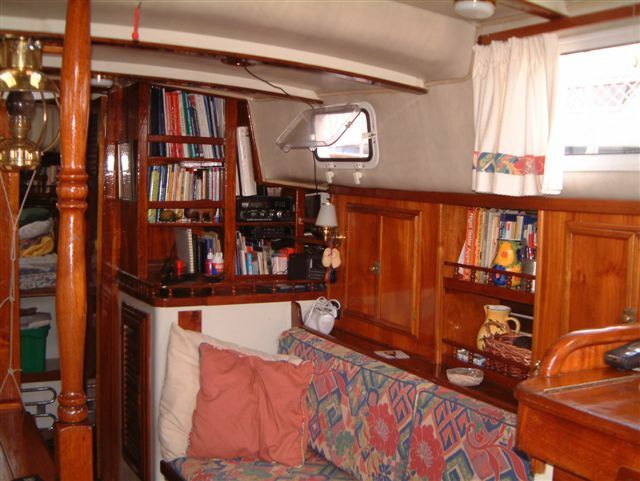 The fold out pilot berth is now only a seat back as I reduced its height to make it match the other side. The chart table has been remodelled and the main switch panel relocated on the engine room bulkhead. In fact I have rewired it. 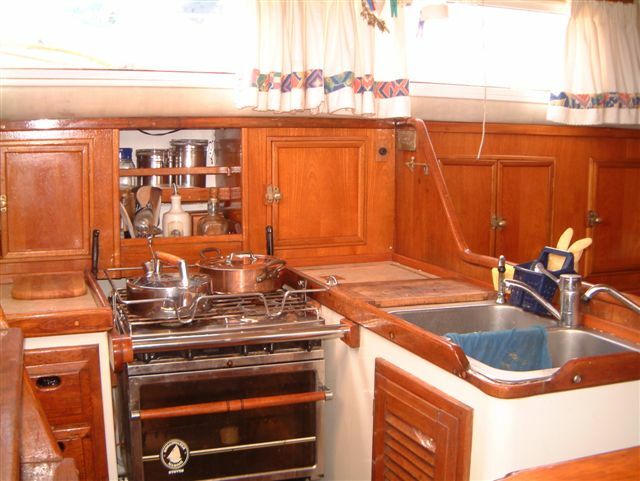 The galley has been rebuilt with a new cooker and lockers to match the saloon. 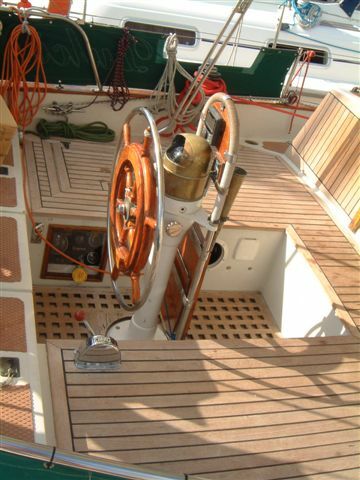 The cockpit has been covered in teak to make it more comfortable. 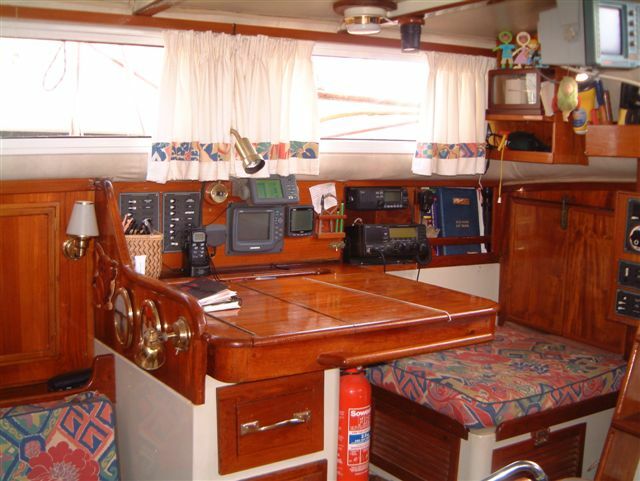 We like the overall effect and find the boat very comfortable. Next week we go back to the boat in Ibiza and recommence the next leg of our trip to Australia.